Why metformin is stopped prior to Angiogram or PCI in diabetic CAD ? Metformin is one of most commonly used oral hypoglycemic drug listed by WHO as an essential anti diabetic drug. .It is a biguanide which blocks the hepatic gluoneogenesis . Since lactate is the major substrate for the process of gluco-neogenesis , excess of which spills into blood .Lactate is swiftly cleared by the normally functioning kidneys .Metformin is completely excreted by the kidney. Hence in patients with compromised renal function (or when contrast agents compete with Metformin in renal excretion ) high levels would not only cause lactic acidosis (> 5meq), it can also aggravate contrast induced renal injury resulting in a downward hepato -reno-metabolic spiral. Though the incidence of Metformin induced Lactic acidoss is low , the outcome can be bad , hence the concern. 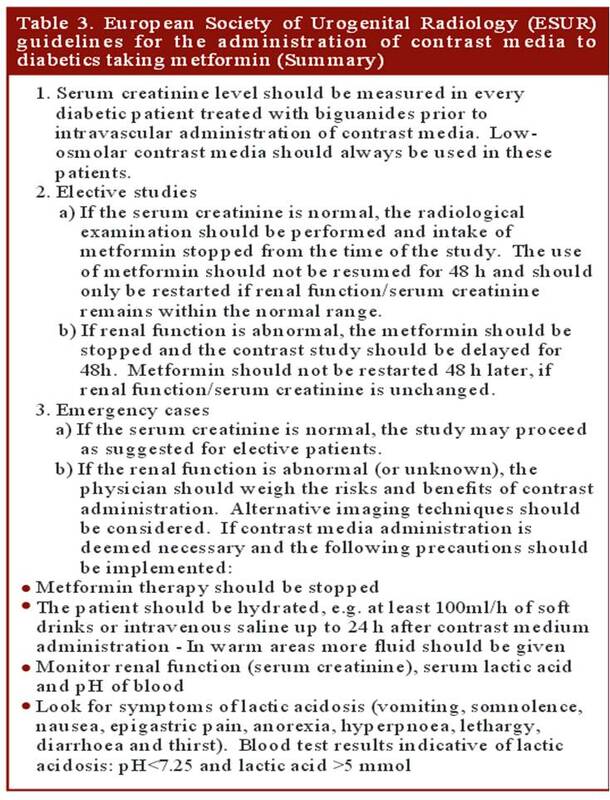 The European society of urogenital radiology has provided clear cut guidelines regarding Metformin usage when contrast agents are being used. Is there hemodynamic advantage for co-dominant coronary circulation ? Co-dominant coronary circulation is defined as , when posterior crux of the heart receives twigs from both right and left system making this water shed area with advantage of twin innervation.They essentially supply inferior and posterior aspect of both left and right ventricle including the posterior aspect of interventricular septum. Traditionally inferior and basal aspects of heart are perceived (wrong tough !) as less important than anterior surface of heart.Infero posterior MI can be extensive and cause significant LV dysfunction and poor outcome. Longitudinal function (AV grooval velocity) and Mitral valve function is critically dependent on posterior circulation. Is there an advantage for co-dominant circulation with reference to ischemic mitral regurgitation ? Obviously ,one would expect there is some advantage in co-dominant circulation when ACS occurs either LCX or RCA.It could theoretically protect against development of MR as posterior papillary muscles could receive supportive twigs from its companion. However , there is a caveat .The antero-lateral papillary muscle normally has twin blood supply from LAD(Diagonal ) and LCX (OM) . But in co-dominant circulation this pap muscle is at risk of becoming single blood supply as the dominant RCA has a trade off with OM with its large PLV branch. It is likely in co-dominant circulations if LAD is the culprit outcomes are likely to be worse. A rare study involving more than 200,000 patients which specifically addressed this issue of dominance and outcome , threw some surprising findings. In concluded PCI outcomes with left or co-dominance has a worse outcome than Right dominant system. Nocturnal pauses in Holter monitoring : How significant is it ? Holter monitoring is the Initial test for all those with documented syncope (or Pre syncope ) with suspected cardiac arrhythmia .It is a 24 hour ambulatory ECG monitoring , expected to pick up any electrical abnormality and its correlation with the resultant symptom if any. Though the test looks attractive , the diagnostic yield is far less. (About 10%) .The reason being the episodes can be rare to be missed by 24hr sample time. We have extended Holter (48hr) , Event monitors , Loop recorders and implantable devices that can record ECG for extended periods. (18 Months ,Reveal Plus Medtronic) that improve the yield up to 45%. One common issue that often confuse us while reporting Holter is, the pauses that occur during day / night . We know such pauses are especially common during sleep. How does the brain react when pauses occur during sleep ? as there is no question of fall as such and loss of muscle tone is non existing. 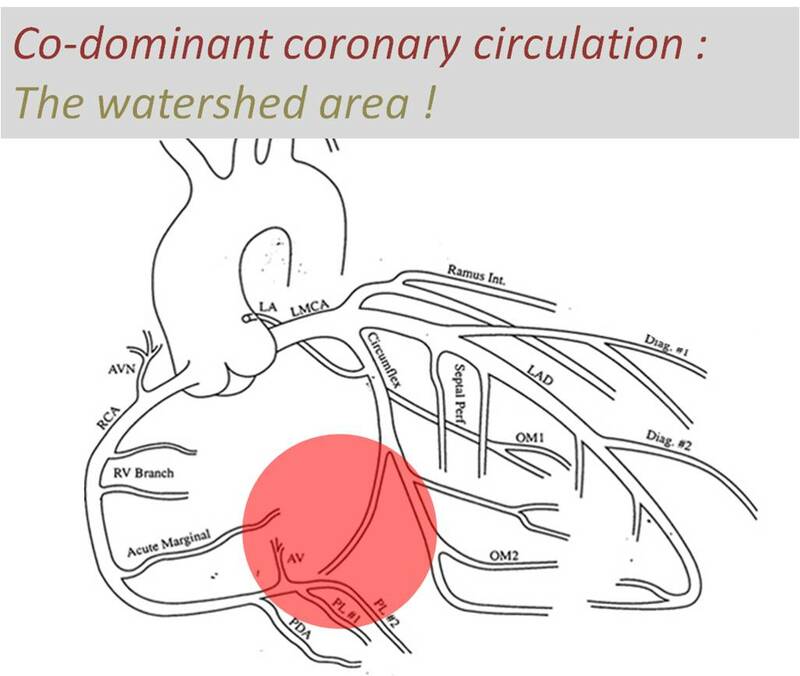 Source : Brodsky M, Wu D, Denes P,et al.Am J Cardiol 1977; . Most bradycardic episodes during sleep are benign.This is due to depressed autonomic control during sleep. Holter interpretation is primarily done with awake rhythm data in most individuals .So, empirically shall we fix a 5 second pause as significant during sleep ? We don’t know.While this may seem applicable even with structural heart disease , one may be vigilant while interpreting the nocturnal pauses in this population . ** Please note, all these rhythm monitoring extravaganza is meant for people with equivocal symptoms .Patients with well documented syncope with ECG features suggestive of cardiac rhythm disorders would never require these tests and go for pacemaker straightaway. 1.Use of an extended monitoring strategy in patients with problematic syncope. Reveal Investigators. KrahnAD, Klein GJ, Yee R et al Circulation. 1999;99:406–410. 2.Prolonged asymptomatic sinus pause indicated by implantable loop recording G H Mairesse and B Marchand Heart. 2003 Mar; 89(3): 244. 4.Arrhythmias documented by 24 hour continuous electrocardiographic monitoring in 50 male medical students without apparent heart disease. Brodsky M, Wu D, Denes P,et al.Am J Cardiol 1977;39:390–5.